Your bank may allow you to cash an undated check. 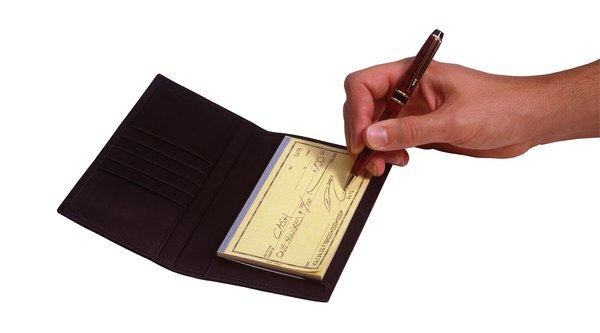 When you write a personal check, you're supposed to write the date in a designated spot in the top right hand corner of the check. Bank tellers are supposed to look at the date before allowing you to cash or deposit a check. 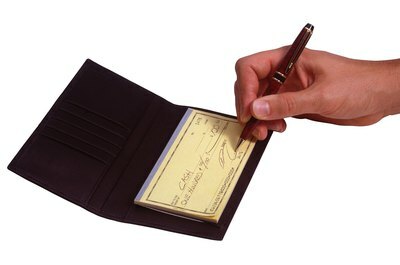 Laws exist relating to the dating of checks, but if a check is undated, it doesn't necessarily mean you can't cash it. Banking laws in every state are based on the Uniform Commercial Code. According to the code, a personal check becomes "stale dated" six months after you write it. Banks don't have to dishonor stale dated checks, but the Uniform Commercial Code gives a bank the option of refusing these checks. Some people write "post dated" checks, meaning that rather than the current date, they write a future date on the check, often because they hope you will not cash it before then. Legally, banks can honor post dated checks at any time regardless of the date on the item. In fact, in some states, a check payee can claim damages if a bank refuses to pay a post dated check. Banks are sensitive about dates on checks due to stale dating and post dating laws. There isn't anything in the Uniform Commercial Code saying a check has to be dated. In fact, if a check has no date on it at all, it's assumed that it was written on the day that you attempt to cash it or deposit it. If you receive an undated check you can fill in the date yourself. You can then cash it or deposit it as long as the check writer signed it and properly filled out the amount and the payee line. Check fraud is a major issue for banks, as it results in losses for both consumers and financial institutions. Fraudsters often steal checks and use chemicals to erase ink so that they can change the amount of a check or change the payee line. 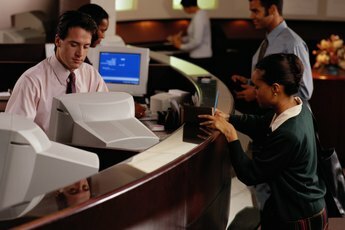 Bank tellers are trained to look for signs of alterations. 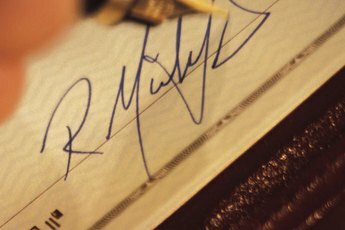 Inconsistencies in handwriting or ink color can cause a teller to flag a check as a fraudulent item. Legally, a bank can refuse to cash a check if there is reason to suspect fraud. If you write in the date yourself you may fall foul of your bank's fraud prevention procedures. Bank tellers handle hundreds or even thousands of checks on a daily basis. A busy teller may not even notice that the check isn't dated, in which case you won't have any trouble cashing it. However, you should find out whether the check writer accidentally left out the date or if the writer left the date off for a reason. Maybe the writer wanted to wait until funds were in his or her account before giving you the go-ahead to cash the check. It's better and less expensive to find the reason for the missing date by contacting the check writer rather than finding out when the check bounces and your bank hits you with a returned check fee. Bankers Online: Does a Check Have to Be Dated at All? What Normally Happens When You Lose a Paycheck? 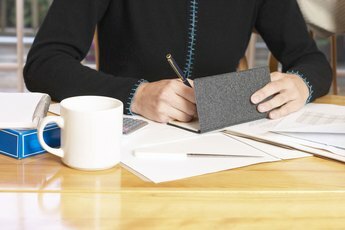 What Should You Do if a Check You Sent Was Never Received? Can I Sign for My Spouse on an IRS Refund Check? What Happens If You Deposit a Canceled Check Into Your Bank Account? How Long Is a Check Good For?